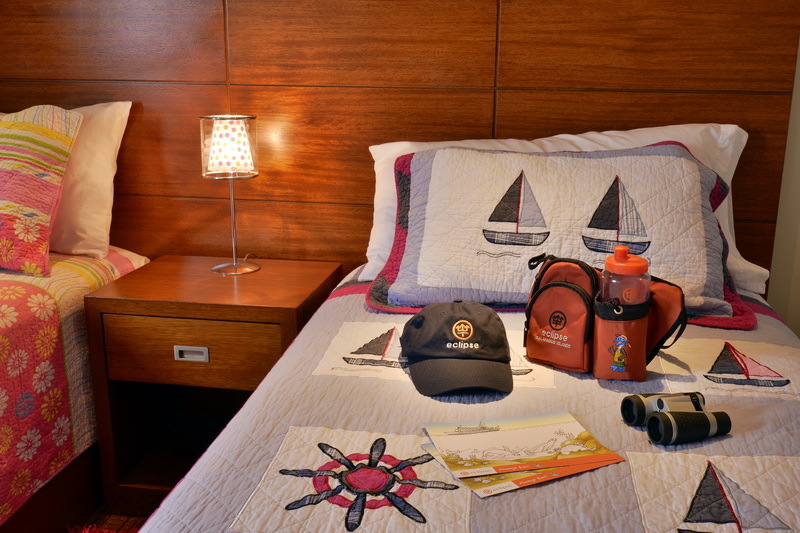 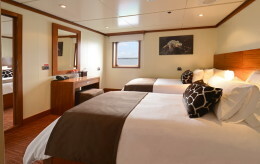 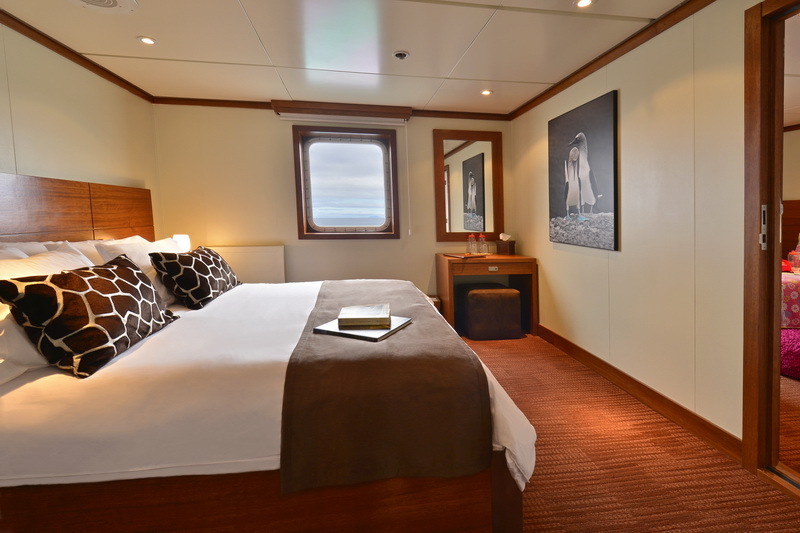 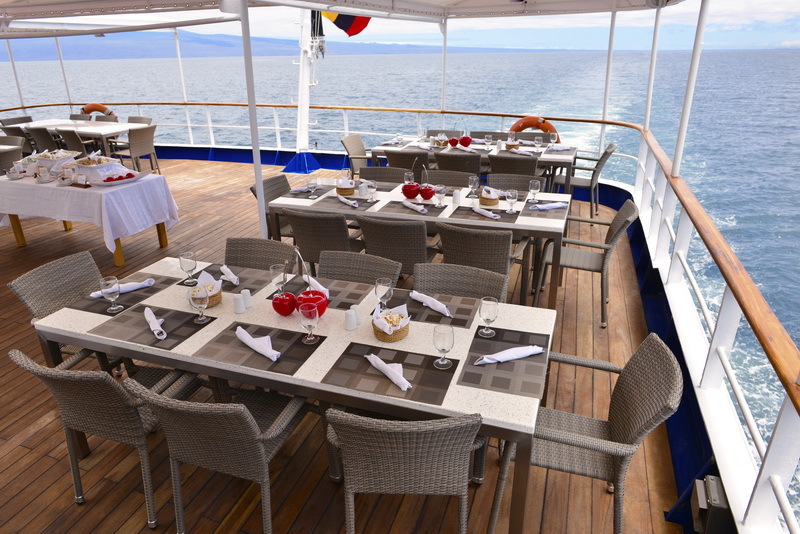 Discover Galapagos on board the finest small ship available. 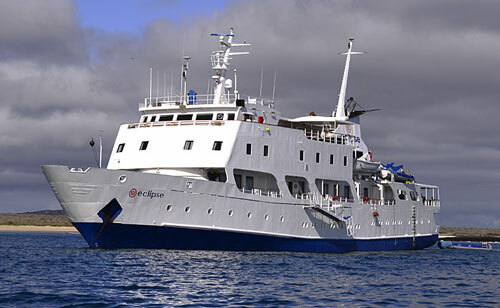 The Celebrity Xperience (nee Eclipse) allows the more discerning traveler to experience one of the world’s greatest natural treasures in the comfort of an elegant and unique cruise and expedition vessel. 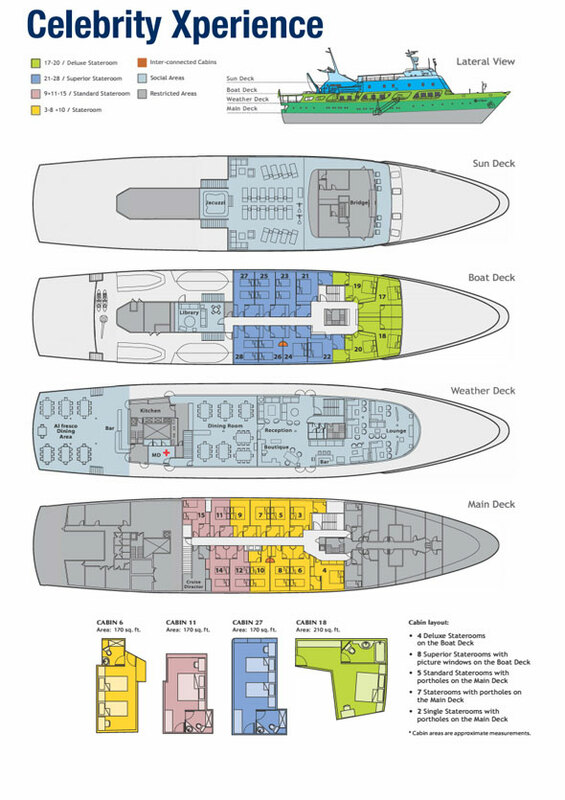 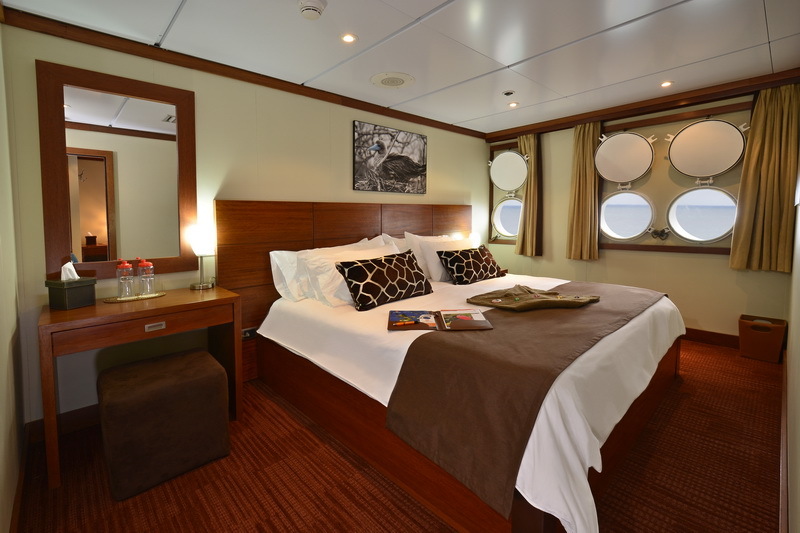 The Eclipse offers unparalleled levels of comfort and service and was designed to meet the exacting demands of a luxury cruise. 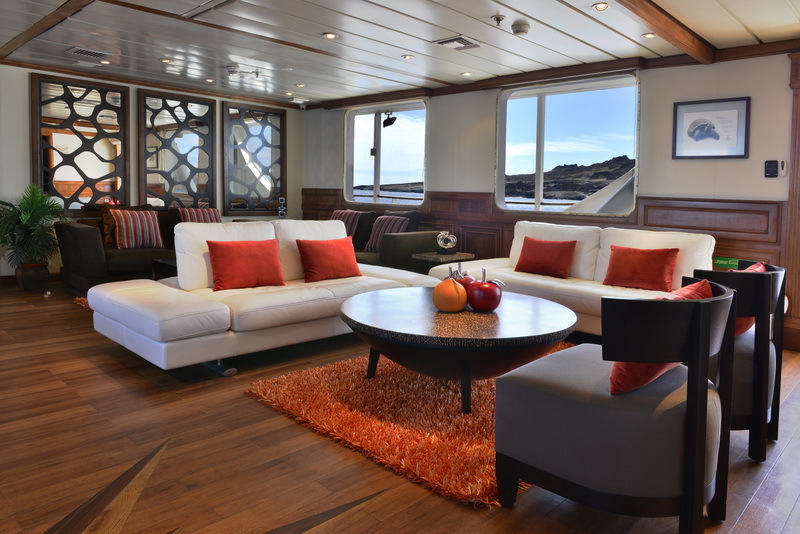 In designing her layout we chose to compromise on cabin numbers in order to provide our passengers with unrivalled cabin space and ample social areas. 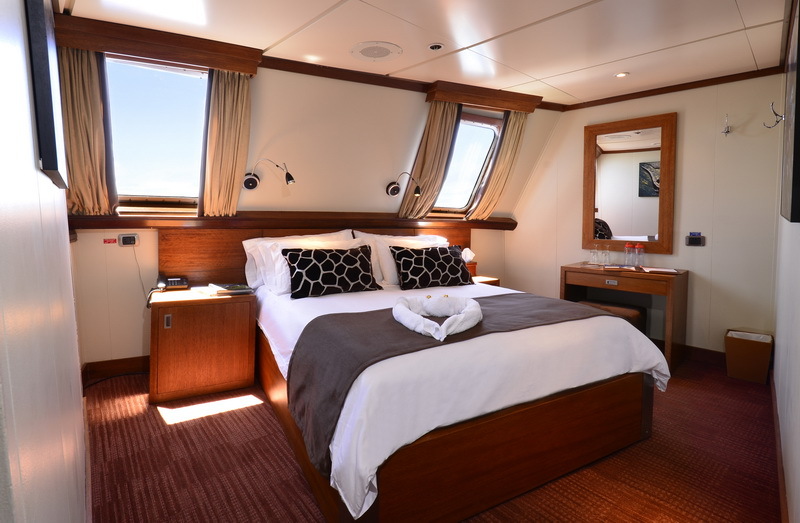 The Eclipse is unique in offering the generous accommodation of a larger vessel, while preserving the atmosphere and exclusivity of a smaller yacht. 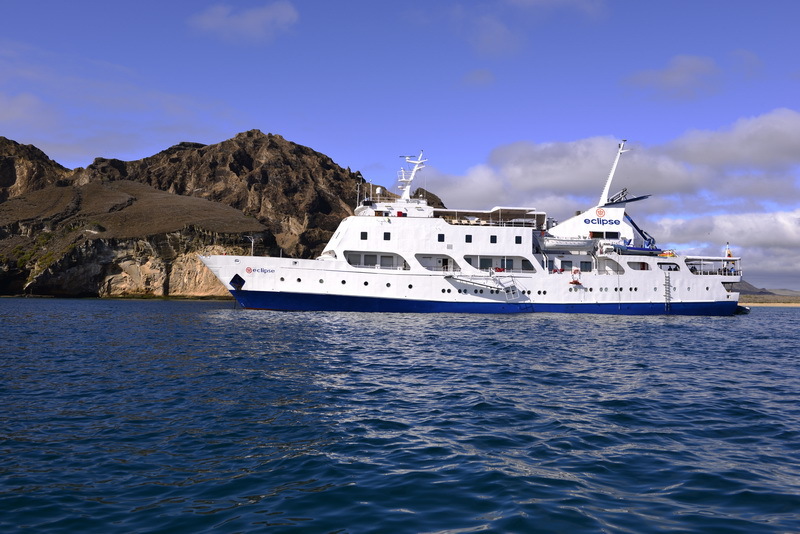 Whether you are snorkeling with sea lions, watching a blue-footed booby feed its young, or following a giant tortoise through the forest, the Galapagos Islands will surpass all expectations. 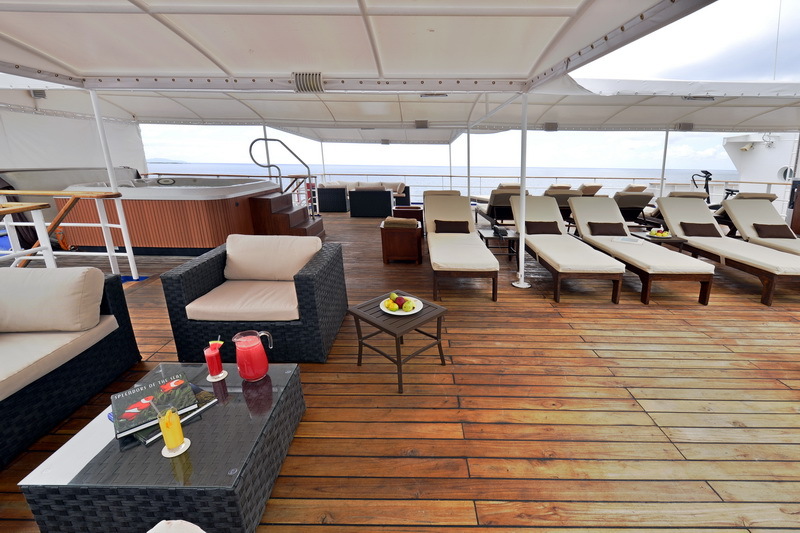 And there is no better way to enjoy the wonders of the islands, than on board the Celebrity Xperience. 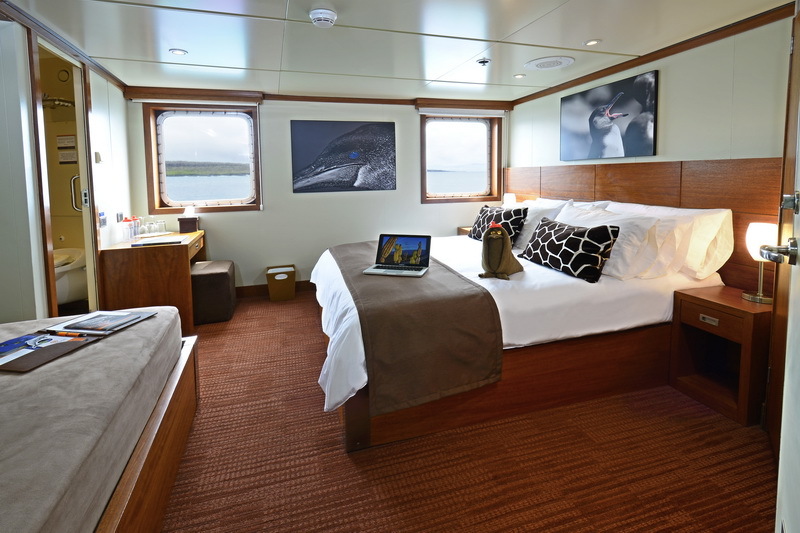 The Celebrity Xperience is a 210 ft expedition vessel that accommodates up to 48 passengers in staterooms, each with a sea view. 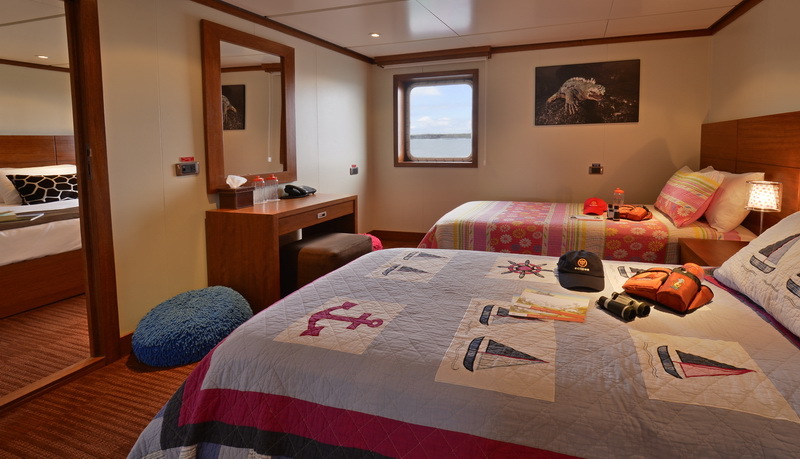 Fully air-conditioned, the spacious cabins have either a double or twin bed arrangement and well-appointed bathrooms with fresh towels provided every day and the complimentary use of bathrobes. 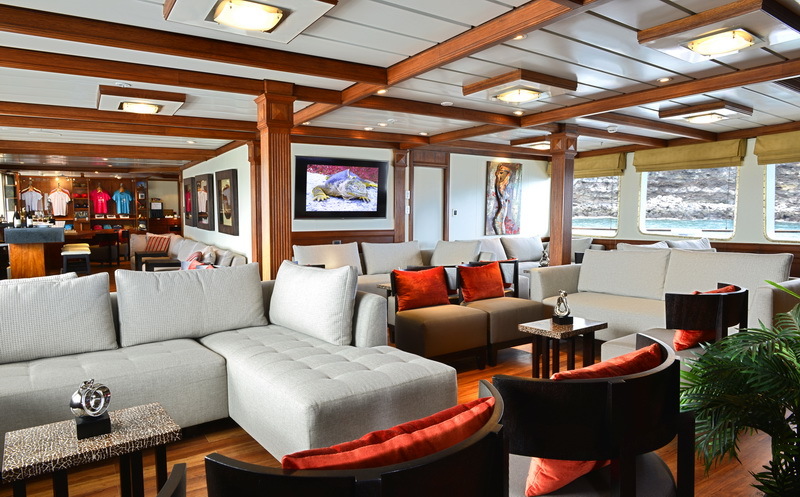 There is a well-equipped lounge for relaxation and for the nightly briefings on the day’s discoveries and the following day’s activities. 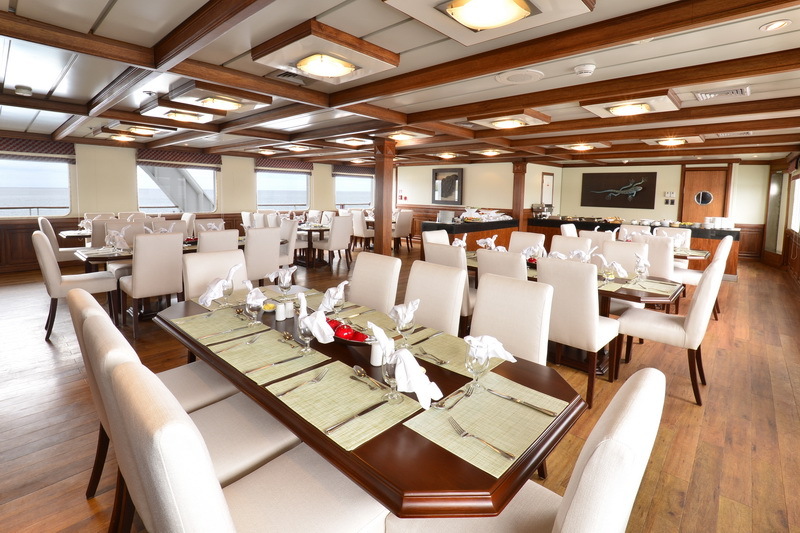 In addition to the elegant indoor dining room, there is an al fresco dining area located around the jacuzzi, where you can enjoy the islands’ spectacular scenery over a delicious lunch. 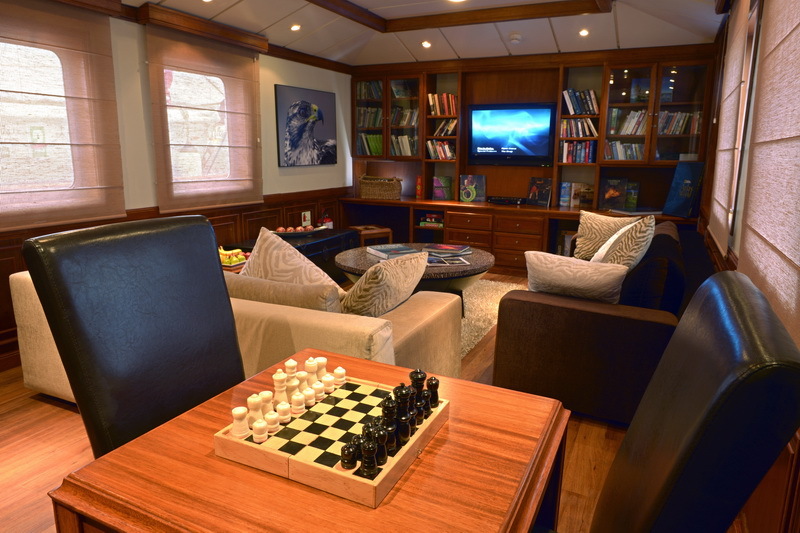 There is also has a well-stocked library for quiet study and reading. 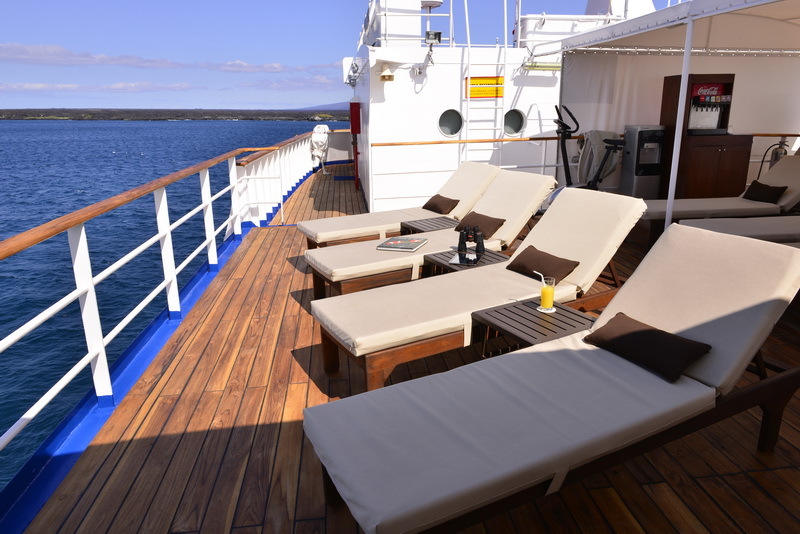 One of the most popular areas on board the Eclipse is the observation/sun deck, ideal for stargazing, whale watching or simply relaxing in the comfortable sun loungers. 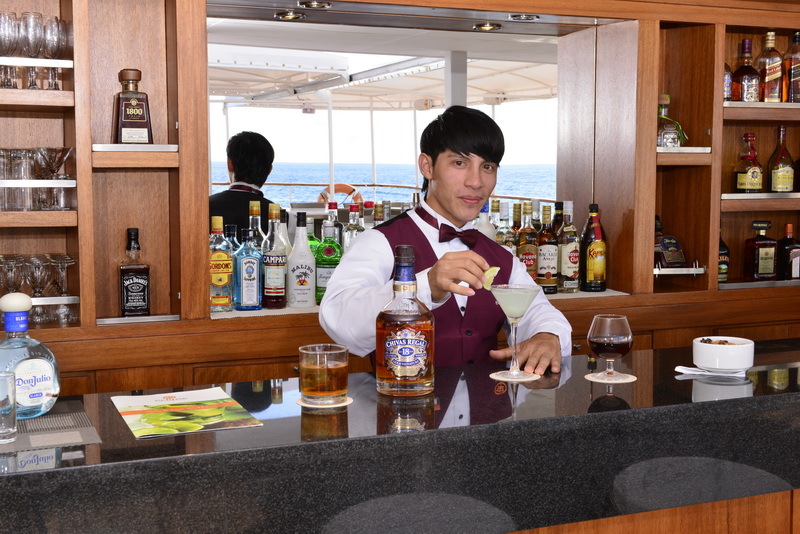 The ship also has a bar, pool bar and a boutique for the purchase of our exclusive range of souvenirs and Celebrity Xperience apparel. 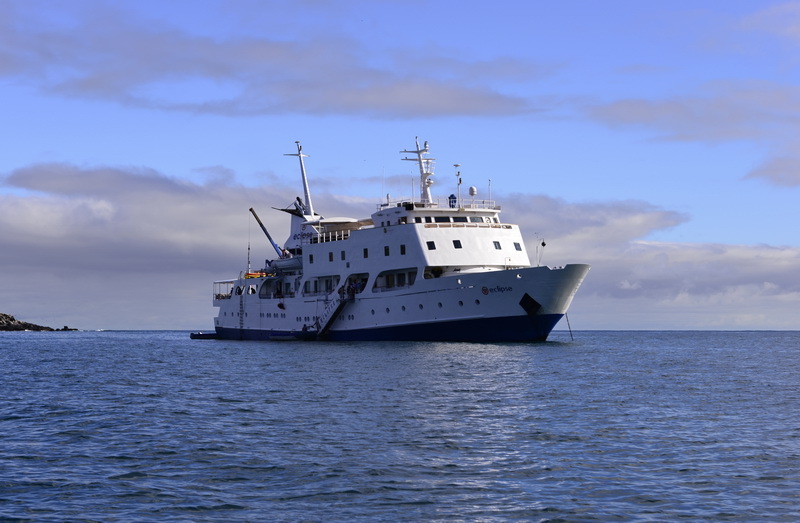 Please note: 3, 4 & 5 night cruises are not available for 2017. 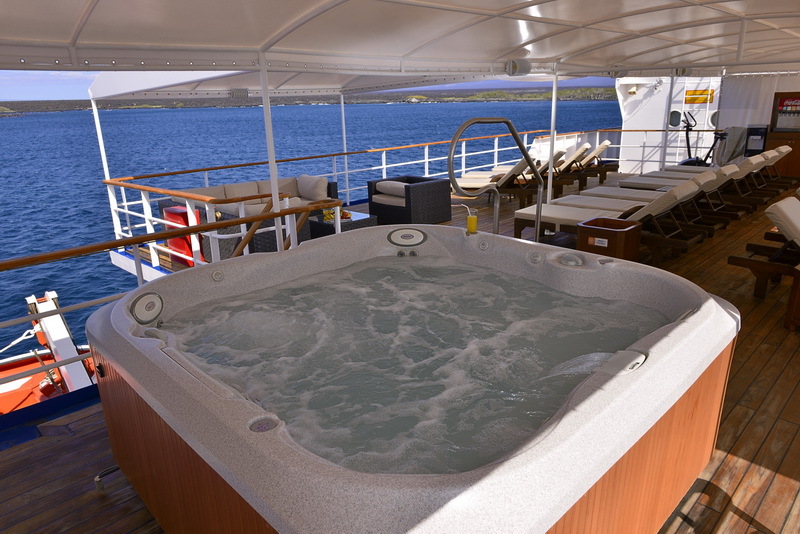 These are 8 day cruises only.